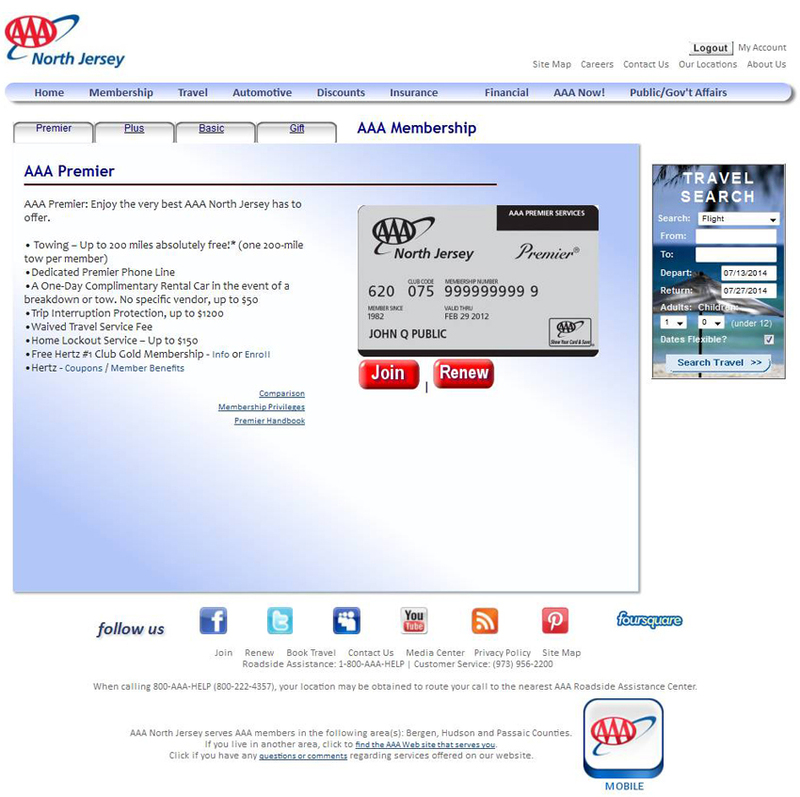 Click here to read last year’s frustrated post about trying to renew my membership to AAA. 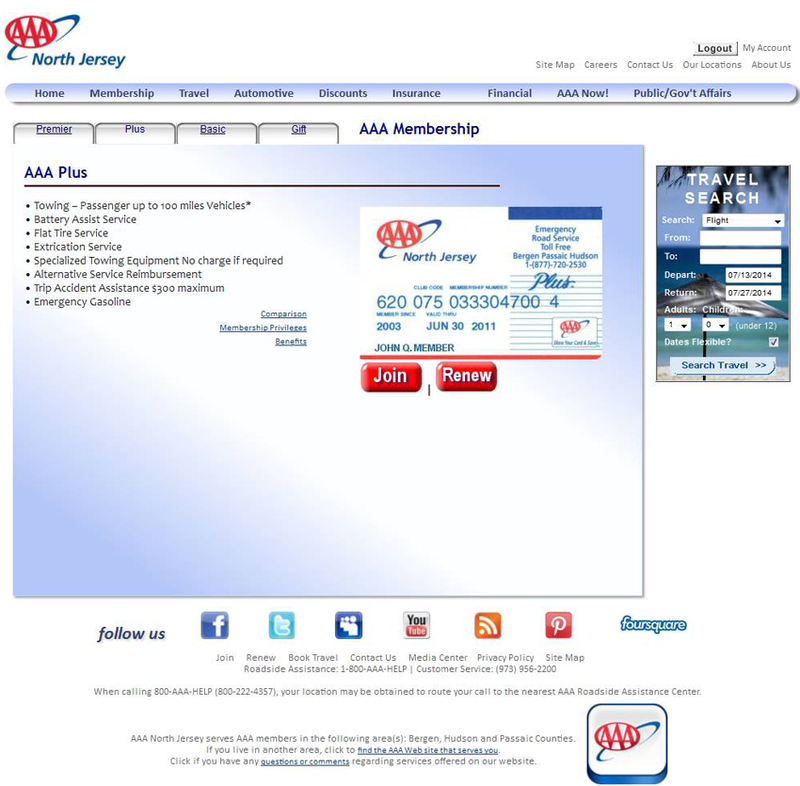 It is that time again, and I went online to try and renew my membership to AAA. In addition, it occurred to me that my husband Will isn’t on the plan, so he would need to be added. 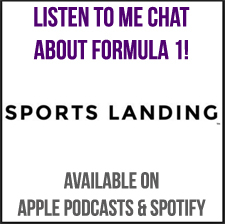 Let’s try this again! They have updated their homepage, and it does look much more modern than last year. I am noticing the MUCH smaller social callouts, which I don’t understand at all. Why hide them? Hmm. This is the exact same page as last year, which suggests that the homepage update was only that. A homepage update. There is no way here to change the plan I have, either to upgrade or downgrade. There is no option to add another person. I know I said “renew,” but this is ridiculous. This design is awful. I decide to click “renew” and see what happens. Seriously? 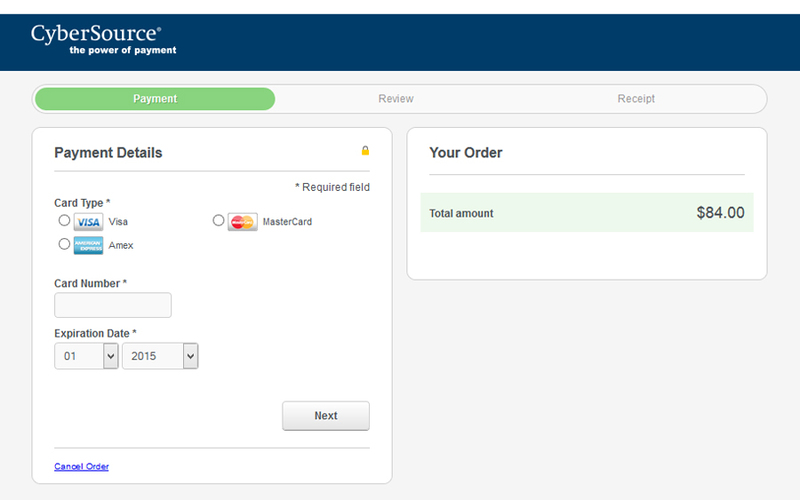 I am sent to a different website to have my payment processed, and the page I am on says absolutely nothing about what I am purchasing for $84. I clicked the cancel button. I am so, so irritated with this system. I decide to click around and see if there’s a way for me to do this another way. I decide to go to “join” instead. This page is the same as the one I looked at last year. It is still terrible. 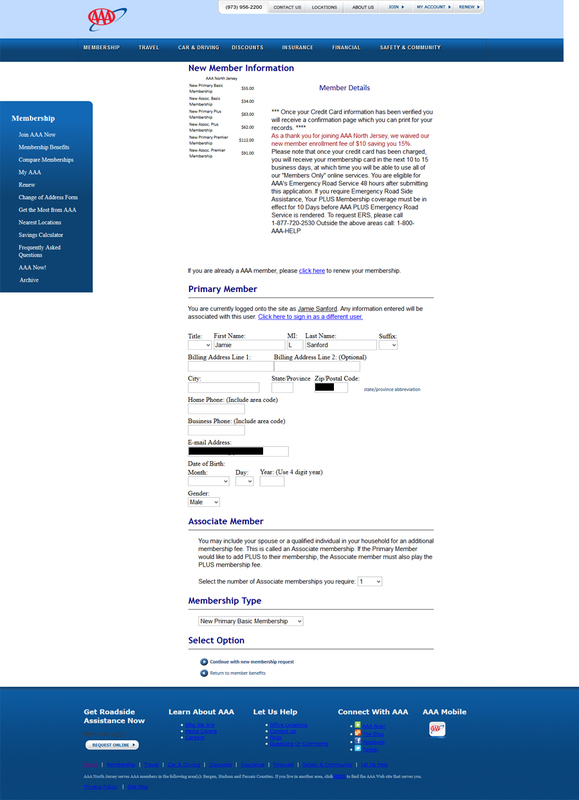 The footer looks different, but they have chosen a heinous blue font that is completely unreadable on a blue background. Come on. 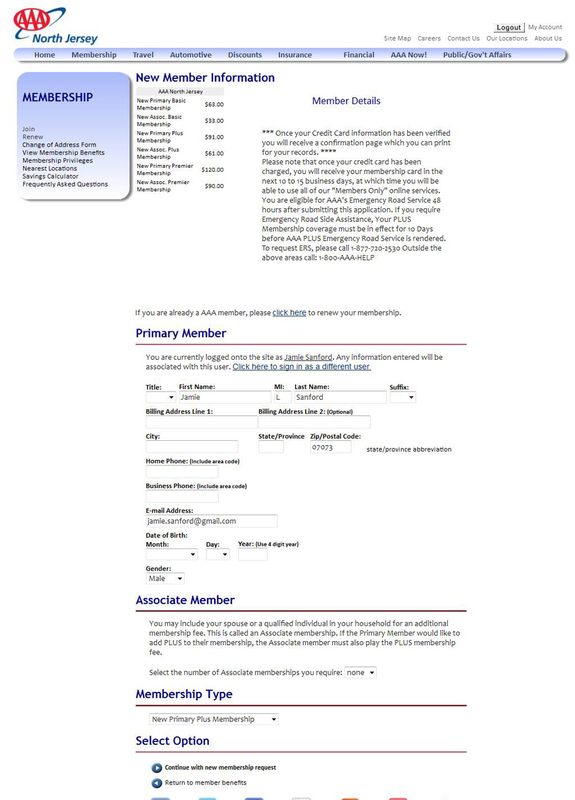 I go ahead and fill in my information and indicate that I want to add another person. I skipped a screenshot of the previous page, where I had to enter my husband’s name and birthday. 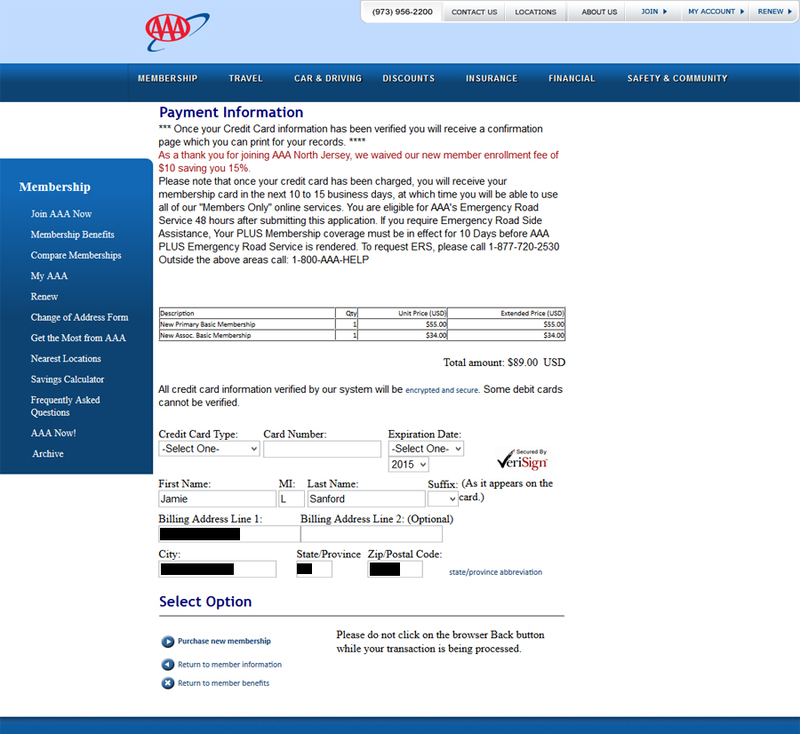 This page is an improvement over the renewal payment page, at least I’m still in the realm of AAA here. 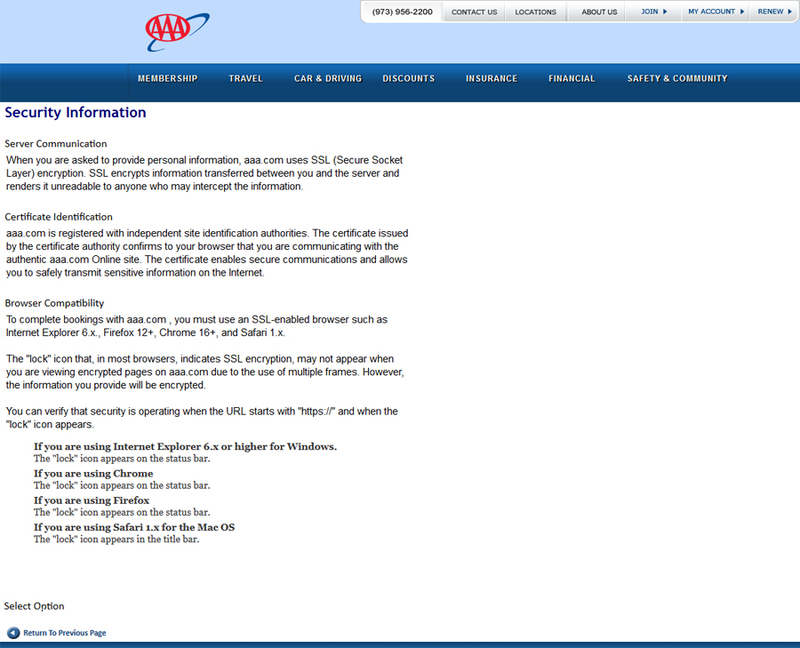 What I don’t understand is why the words “encrypted and secure” are in a tiny font (is it a secret? ), and I click to read what it says, hoping for a pop-up box, since I certainly don’t want to leave the page where I might have entered my personal information. I am, not surprisingly, disappointed, since the link opens another page, in the same tab. Why. Why is this not information that could be in a pop-up box? 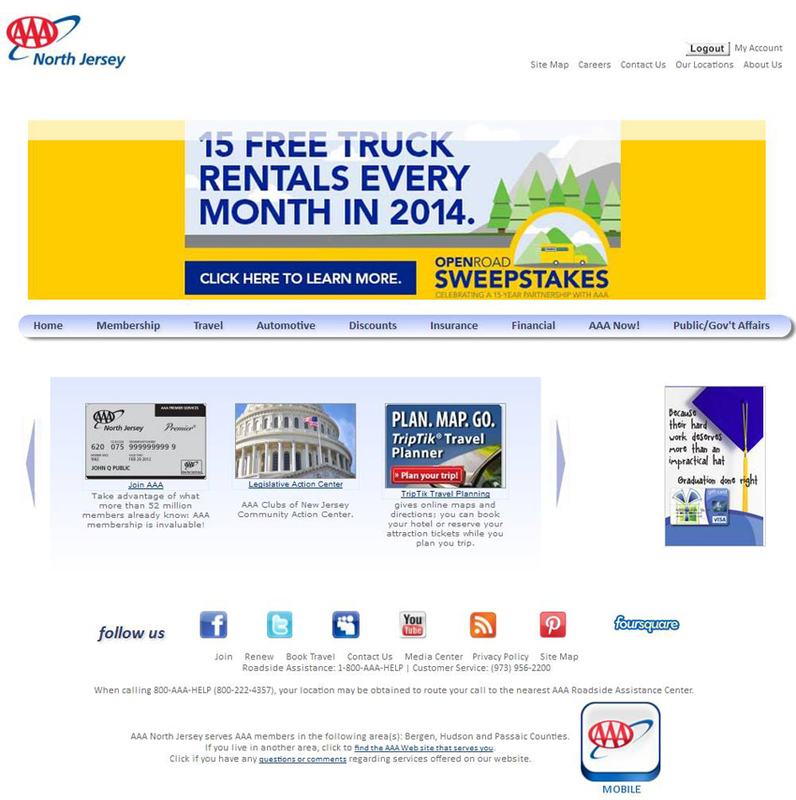 While we are at it, the AAA website is also in desperate need of a copy editor. 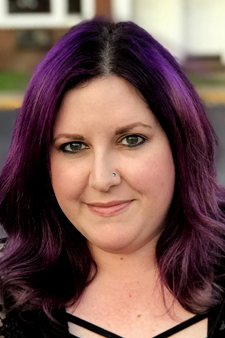 The “certificate identification” isn’t clear, and the word “online” is randomly capitalized, and why mention the site identification authorities and not just name the ones you use? I closed my browser window after this. I am undecided on renewing my membership. I recently bought a new car, after having to call AAA twice in one week to rescue me in my old one. 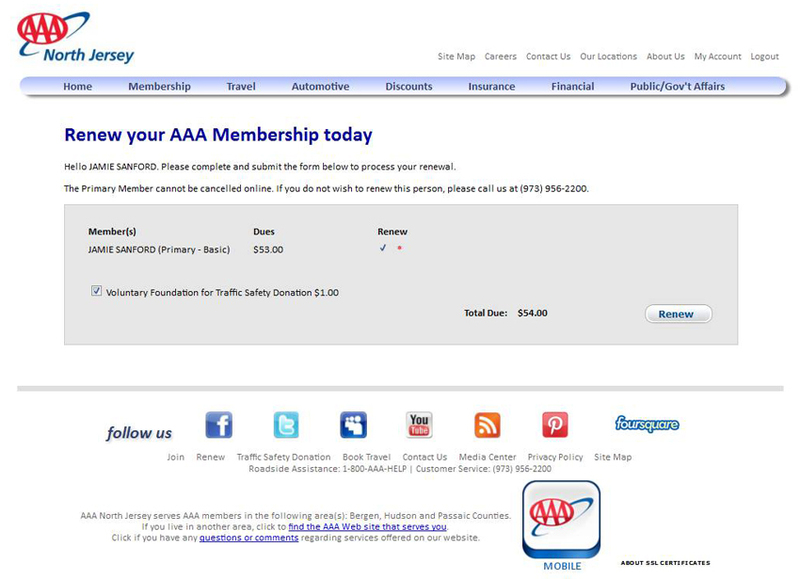 It was just after getting my new car that I had to renew my AAA membership. I’ve had it as long as I’ve had a car, and it really is the best thing. I have been towed at least twice, and jumpstarted maybe 10 times? Things happen, it’s good to have roadside assistance. 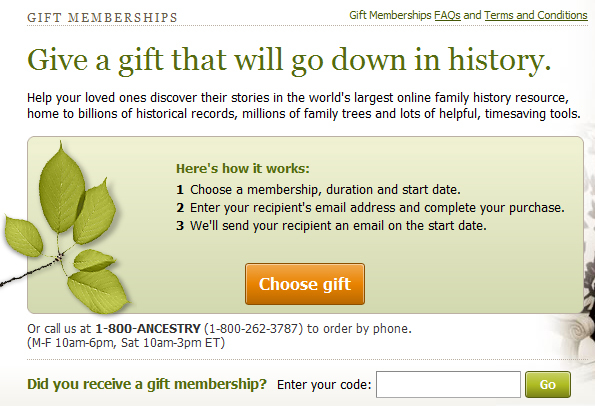 Anyway, I decided to renew my membership online, and that’s where things went downhill. Pretty straightforward. 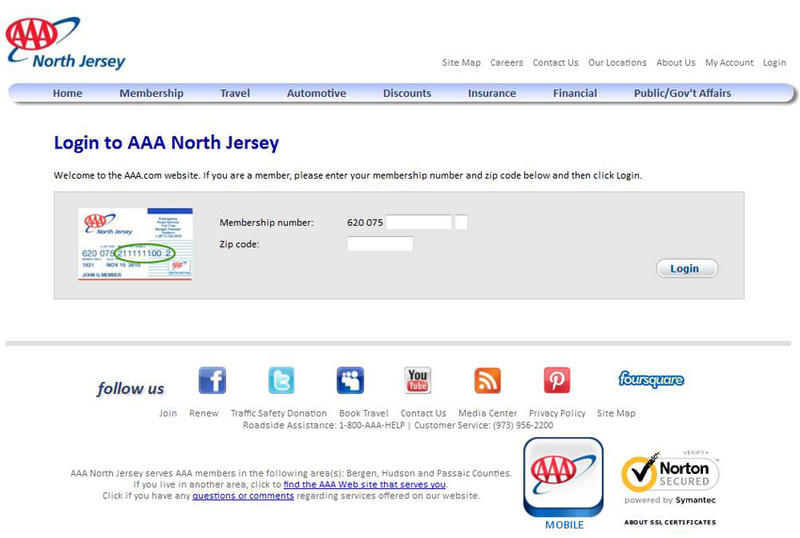 I’m in North Jersey, this is the North Jersey section of AAA.com. This could be a bit more modern, but perhaps it is working for them. 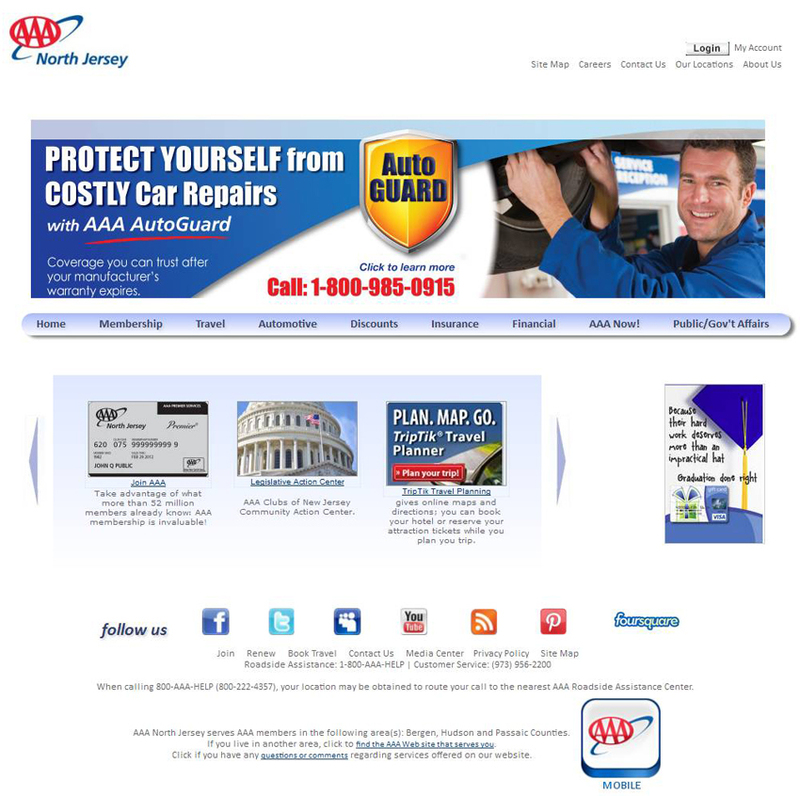 Change for the sake of change isn’t necessary, but a bit of an update on the look would not hurt the site. I choose the “login” option as I’ve been here before. Again, easy enough instructions for me to get to my account. Instead of my account, I’m back to a general page. Hmm. I move to the membership area to review my options. Oy. This really needs to be presented in a better way! A direct comparison of all options on one page would be better. Or perhaps a chart showing each option, how much it costs, and the features it has checked off. We’ve all seen a version of this. You can see all of the tabs are similar. This is the last page I saw. I clicked the button to “renew” my membership and NOWHERE on this page does it offer me the opportunity to upgrade my membership for the new membership period! A huge missed opportunity by AAA. I wanted to pay them more money for an increased service level, and their website completely fails at making that possible. 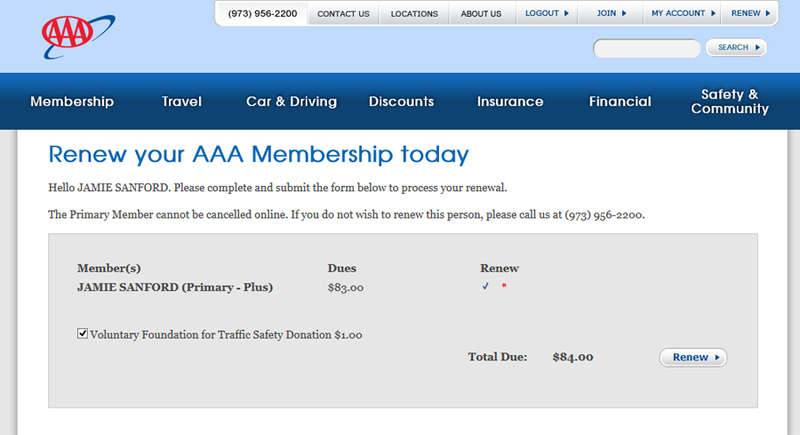 AAA is lucky that I like their service so much. I actually filled out a form and wrote a check and used a stamp to send this in the actual mail, since their website did not do the job. I cannot end this post on anything but a down note. 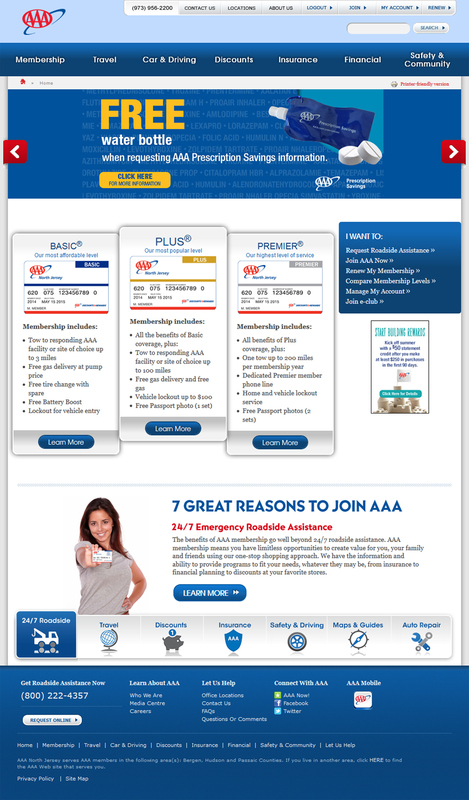 Consumers are used to being able to do most things online, and how many opportunities has AAA missed for upgraded memberships because their website is impossible? It would have taken seconds for me to stay with my basic membership and move on, but I made the effort because it was important to me to upgrade. If I was wavering at all I would have just used this website to renew and that would have been the end of it. Thumbs down, unfortunately. This is not only a frustrating experience on the consumer end, but is likely having an effect on sales and income on the business side. Thumbs down all around.